just found this podcast and so glad I did! solid research, varied topics. Profits from slavery and related industries helped build some of the most prestigious schools in New England. This documentary focuses on three universities -- Harvard, Georgetown and the University of Virginia -- as they grapple with a deeply troubling chapter in their vaunted histories. There are millions of kids in America who the USDA considers "food insecure" -- they live in households without regular access to nutritious food. For them, school feeding programs are essential. 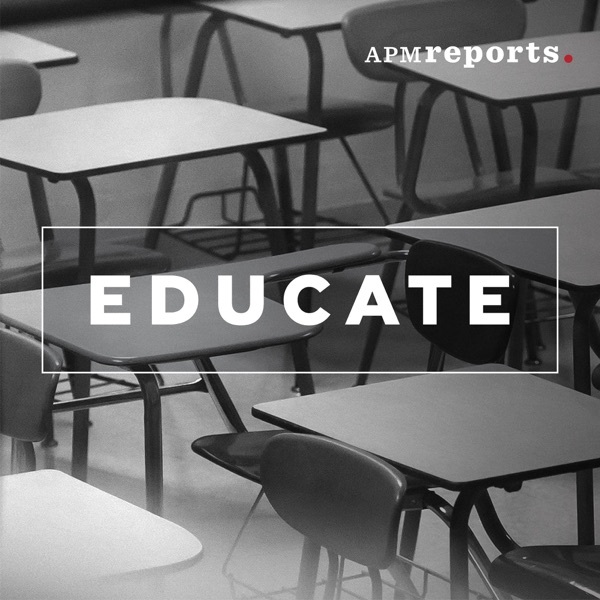 Vocational education was once a staple of American schooling, preparing some kids for blue-collar futures while others were put on a path to college. Many experts say it's time to bring back career and technical education. Just 20 percent of college-goers fit the stereotype of being young, single, full-time students who finish a degree in four years. College students today are more likely to be older, part-time, working, and low-income than they were three decades ago. The United States is in the midst of a huge education reform. The Common Core State Standards are a new set of expectations for what students should learn each year in school. Most test-takers hope the GED will lead to a better job or more education. But critics say the GED encourages some students to drop out of school. And research shows the credential is of little value to most people who get one. Learning with a personal tutor is one of the oldest and best ways to learn. Hiring a tutor for every student was never a realistic option. Now, new computer programs can customize education for each child. For-profit colleges have deep roots in American history, but until recently they were a tiny part of the higher education landscape. Now they are big players. More people are going to college than ever before, but a lot of them aren't finishing. Low-income students, in particular, struggle to get to graduation.